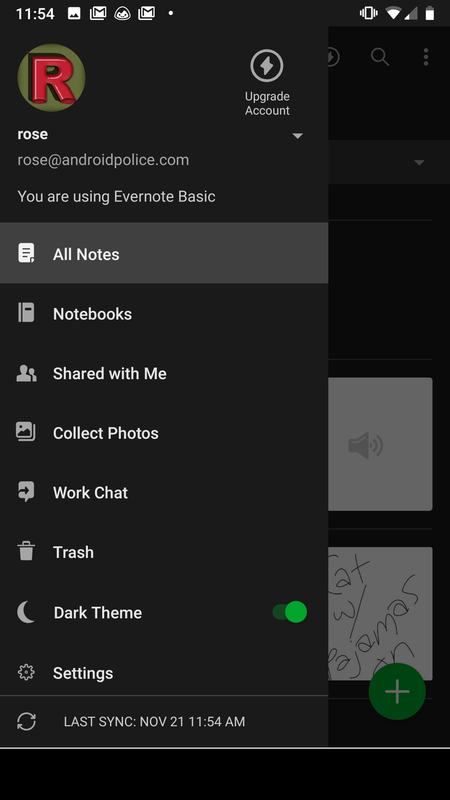 Evernote's new dark theme is easy to turn on by popping open the top left burger menu in the app and switching the clearly marked toggle. Nothing changes except for the background turning from white to black, but there is a somewhat pesky thin white line at the bottom of the app that might drive some users crazy — it's unclear if that's intentional. Still, it's nice to have the option for dark theme from a battery and eye-saving perspective. 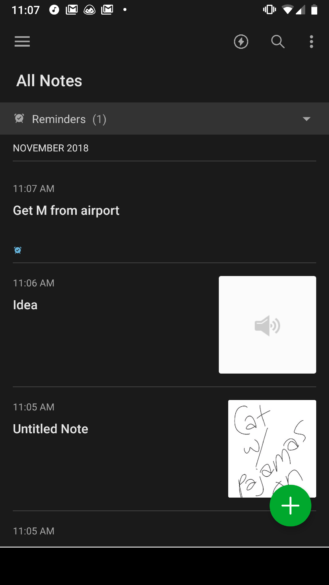 Google Keep recently got a particularly eye-searing Material Design update that changed the background of the app to white from a light gray, and killed the yellow header bar. Some enjoy the minimalist new look and some, like me, preferred the app with more visual distinction between components — but most agree that a dark theme would be a great option regardless. Thankfully, in a Reddit thread, a verified Googler said a dark theme is coming, but it will take "time and a bit of patience." Meanwhile, Notebook by Zoho, another major note taking app, offers a night mode. Microsoft OneNote, on the other hand, does not have an easily accessible dark theme option. 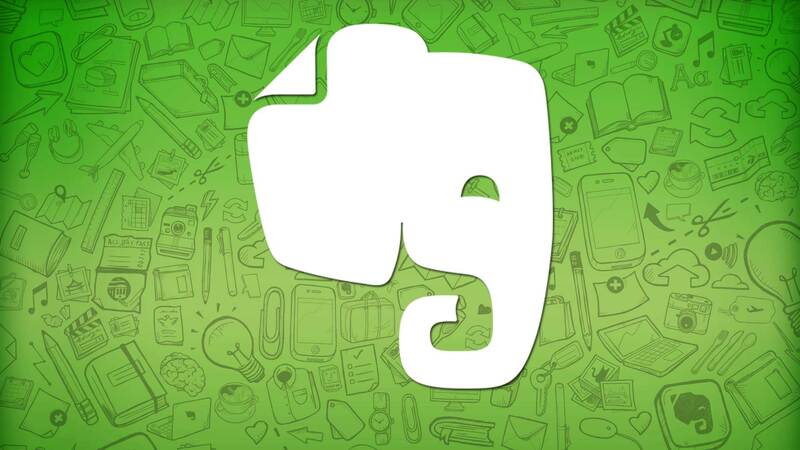 To try out the new dark theme in Evernote, update the app to v8.6 through the Google Play Store or grab it on APK Mirror.